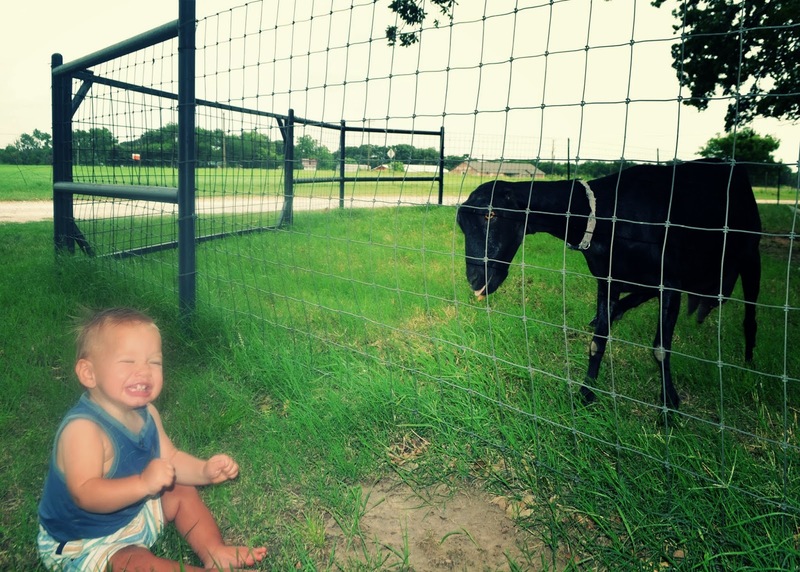 My son was bottle fed raw goat’s milk as a baby. This is how and why I made that decision. Breastfeeding is the best. It’s great for mom and baby. But it’s not always possible. Yes, there are things you can do when your supply is low and you can change your diet for your baby’s sensitives. But in the meantime while you are figuring it out, you have a hungry baby who doesn’t have time for you to test all your theories. So for supplementing, I think goat’s milk is a great option. My son is adopted, so breastfeeding was not an option. But knowing what I know now, if I ever have another child that needs a formula (supplement or whole diet), I will never, ever use a commercial formula. I will always choose raw goat’s milk. Click here to see my easy formula recipe. See my formula recipe here. My son, Morrison, was born allergic to everything. He was in transition care for 1 month after he was born while legalities were finalized. He gave his transition mom the hardest time! She has been doing this (watching babies during the legal transition time) for over 30 years and has watched over 200 babies. She said Morrison was the hardest baby she had ever had and she was taking a few months off before taking another baby. He really did give her a hard time. Neocate – This is a prescription. This is what he came home on. Read more about the problem with those commercial formulas here. She added 2 teaspoons of dairy free rice cereal (I am not a fan of rice cereal; it’s a filler, there’s no nutrition, I do not and will not feed it as a meal for my child ever. Read more about rice cereal here.) per ounce of formula. Yes, that’s right. For a 4 oz. bottle, there were 8 tsp of rice cereal added. That’s a thick formula. They did this to thicken it so he could keep it down. And it worked. He could keep the Neocate with the rice cereal down. But it was a big chore to burp him. He was still so uncomfortable. But at least he could eat. We kept that routine for a few weeks. The Neocate was 57% corn syrup. Yes, 57% corn syrup!!! That is the solution the medical world gave him. I kept running across raw goat’s milk in my research. Nothing but amazing results. I wanted to try it, but was so nervous. So I went to a local homeopathic doctor. He answered all my questions and calmed all my fears. He gave me some names of some local farms. He said just buy a gallon, give him a bottle and see what happens. If it works, you will know within 10 minutes. If it doesn’t work, you will know within 10 minutes. So that’s what I did. And it WORKED!!! It was instant. My son ate the whole bottle. We still mixed the rice cereal (we weaned him off that quickly, but we kept the consistency to start with. Every couple weeks we reduced the amount we added.). After he ate, he burped. It was amazing. Burping before took us a half an hour easy, and that’s on a good feeding. After the first bottle of raw goat’s milk, he slept through the night for the first time. We called the doctor back and he prescribed an iron and folic acid compound. We added this to his bottles until he started eating solid foods. All of his iron blood tests come back at perfect levels. Here is the formula recipe I used. We switched him cold turkey. No transition. 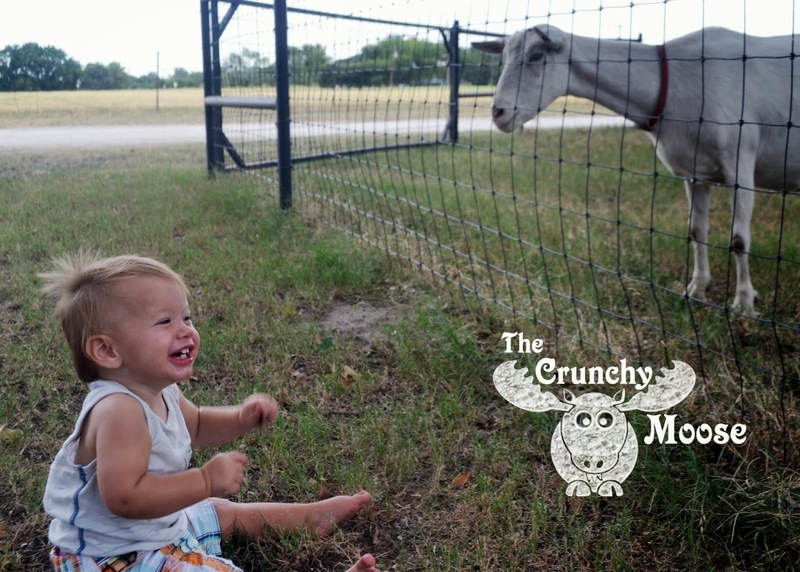 One day we were feeding 57% corn syrup Neocate, the next day we were feeding raw goat’s milk. When we talked to the doctor, he said that the rice cereal does thicken to help him keep it down. But……it doesn’t stop the reaction. The reason he spits it up is because he is reacting negatively to it. So he’s still having a reaction, he just can’t do anything about it. Horrible. UPDATE: He is now 23 months old. He has zero allergies and is very healthy! 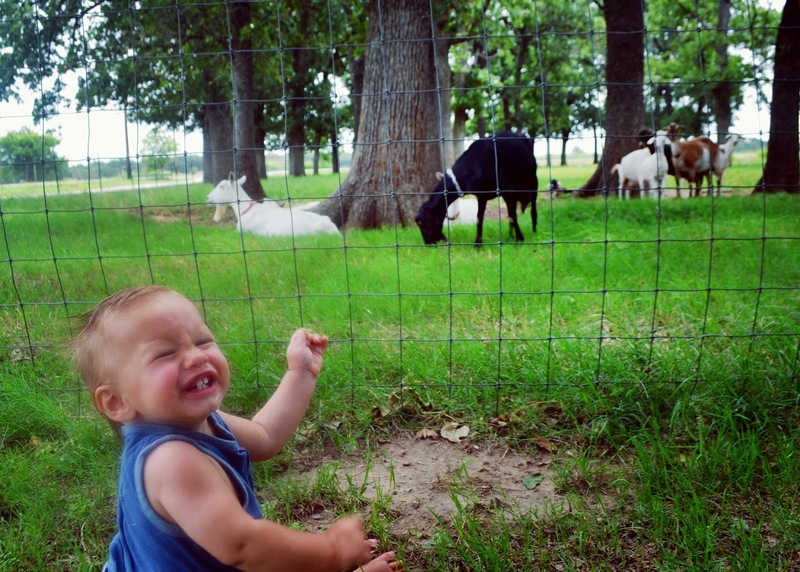 Goat’s milk is easier for a baby to digest than cow’s milk. Goat’s milk has a higher fat content than cow. The fat clusters are arranged in a way that makes it easier for the baby to digest. Camel’s milk is the closest milk to human milk, molecular structure. I don’t know anyone with a camel in Texas. Goat’s milk is the runner up. Goat’s milk has a softer and smaller protein than cow’s milk, making it easier to digest. I never realized goat’s milk could be substituted for formula! (But then, my last baby was weaned 18 years ago!) Both of my kids were horribly dairy and soy allergic. At that time, I tried several formulas to supplement breastfeeding, but the only one they could tolerate was Nutramigen. (I’m not even sure they still make it!) I think it’s similar to Alimentum, but we couldn’t use that one. I wish I had known about goat’s milk back then. (We eat goat cheese now all the time with no allergic problems at all.) P.S. I wish the pharmaceutical companies wouldn’t supply the hospitals with all of that formula for moms to take home. It almost sabatoged my breastfeeding efforts, knowing that I had that formula right there! The goat’s milk was a life saver for us!! He has done so amazing on it. And I agree with your thoughts on formula. Supplementing is necessary for many moms (low supply, dietary problems, or like me, adopted child), but there are other options other than commercial formula straight from nature that are perfect! I am looking to start making my own formula (from the weston price website)…my baby is 4 months old…I have heard also that goats milk is easier for babies to digest. I do have a way to get raw goats milk (it’s illegal to sell in CA for human consumption)..but it’s an hours drive. Could I freeze it? Or should I stick to doing the raw cow’s milk formula (they use gelatin to make it more digestible)? Yes! It freezes perfectly. I always had a couple gallons in the freezer. When I needed it, I would put it in the fridge for a day or two and let it thaw. When I needed it quicker, I would put it in a sink full of cold water for an hour or two. 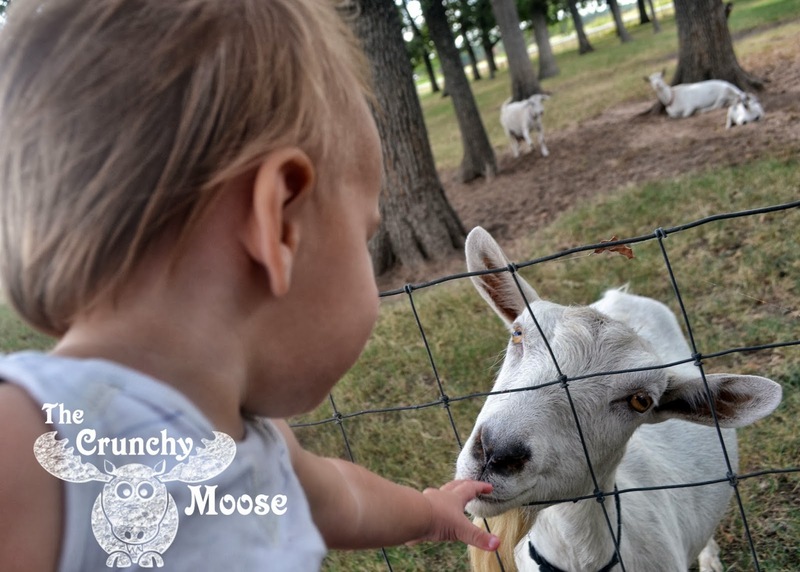 I loved goat’s milk for my baby! But he was allergic to cow dairy (he outgrew that allergy), so I never tried a cow milk formula so I can’t compare. I read your post on giving baby raw milk and I was wondering if you would be willing to share what farm you go to. I live in Keller Texas and would greatly appreciate it. Right now on occasion we have raw milk from nors dairy in abbott tx. We like it but its cows milk I think goats milk would be gentler on my toddler. 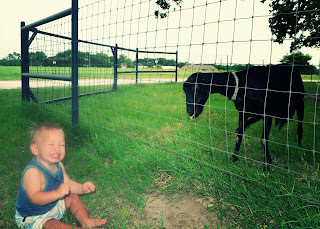 I found one nearby source coursey family farm in millsap tx. It would take an hour to get there but I could freeze gallons in my deep freeze in glass milk jugs I have. Maybe your sources are closer. There is actually raw goats milk right here in keller homestead farms I’m familiar with what they feed them and would prefer something else. Thanks so much! Hi Candice! My son has outgrown his dairy allergy, so I now give him raw cow milk from Circle N Dairy in Gainesville. It’s about an hour from me in Denton. I have been freezing it and it freezes great! I got raw goat’s milk from a woman with a small goat farm in Aubrey. She prefers that I provide her with your info (as opposed to publishing her info). I have a yahoo email for you her attached to this comment. Do you want me to send your email to her and she can contact you if she is accepting customers at this time? Thanks & just let me know! Yes that would be great I love your site btw! I’m now thinking about setting up an appointment for my daughter Lexi. I emailed the goat farm. She doesn’t have any openings right now. She said she will hold onto your email if anything opens up. Thanks for the kindness! We are going through this NOW and live in Celina. If your blog is still live I would love to know your goat milk source. Thanks for this post!!! Oh no!!!! I am going to send you an email to your yahoo address attached to this comment. Ha! People think I’m crazy, too! let me know how the goat’s milk works for you little one. It did wonders for our guy. Hello there! Thank you for your article…very helpful! I found a farm about 5 miles from here. He is hesitant to sell me a share since he hasn’t provided milk for any infants. Great guy, though, seems very reputable ect. I bought mt capra powdered milk also but I’m sure it isn’t as easy to digest. I’m hoping we’ll be one and done with this feeding choice! Good job Mom!! You are very well informed! My first thought on dry versus raw is the probiotics. But you are using a formula recipe that adds in probiotics (and good fats, vitamins, etc). Raw is best if you can get it. But you have a great alternative with your homemade formula. Good luck! Let me know how it goes. and congratulations!!!!! We had twins in June of this year and breasted for almost 4 weeks, at this point my boys are on similac advance and similac alimentum one spits up terribly and the other stays fussy gassy and has started spitting up some when he didnt hardly at all before, I have done some research on goats milk and thought it would be so much better for them but have those fears of the boys not getting the nutrients they need. Actually thought I would give the powdered baby organic goat milk a try. The boys are 14 weeks old. Do you think this would be a good choice? I have heard people using powdered goats milk and loved it for their children. I did not use it. There is a powdered goat milk formula on the Weston A Price site here http://www.westonaprice.org/beginner-videos/baby-formula-video-by-sarah-pope-2/ Good luck mom! My son is 3 weeks old and I am only able to produce max 10 oz a day of breast milk so I’m wanting to supplement with raw goats milk. I am about 35 miles south of Houston and I’ve no idea where to find it? Also, is 3 weeks old too early to introduce? LOVED THIS POST! HOPE TO LEARN MORE!!! You can search your zip code here http://www.localharvest.org/organic-farms/ and http://www.realmilk.com/real-milk-finder/. Goat milk freezes great (better than cow milk)! So if you have to drive far, you can fill your freezer and make fewer trips. I WISH my son had been introduced to goat’s milk at 3 months. He was a little over 2 months old. Good job mama! We just added a goat milk to our diet after we turned one. I am getting it from local farm. My question is about heating it up. Some suggest that I need to let it boil, some that just heat up. What is your best suggestion? And how long can milk be stored in the fridge? I never heated my goat milk so I’m not sure about that. It lasts about 2 weeks. It will last about 3 months frozen. We just tried raw goats milk & live it . I’ve been doing research with making baby formula using Mt. Capra powder goats milk ( their recipe ) for when I can’t get raw milk. Some of the websites scare me about giving my baby Raw goats milk. Can you help ease my fears?I’ve found small farms a few towns over & would like to feel safe buying from them. Thanks for letting me know! The broken link has been fixed: https://thecrunchymoose.com/homemade-formula/. Sorry about that. Hi, my little girl is 3 months and we’ve been feeding her formula since she was 6 days old and breastfeeding her, but my milk supply is very low due to her being lip and tongue tied. She is waking up with a stuffy nose and is producing more earwax than usual. I think this is due to a dairy allergy. My husband has the same problem. It all cleared up for him when we got him off dairy. I would like to try her on raw goats milk or pasteurized goats milk. I am in Canada and the laws here make it very difficult to get raw goats milk, but i’m wondering if it makes much of a difference? What are the cons to giving her pasteurized vs raw? If I can get my hands on raw, it would be from a farmer who is selling it under the table so to speak. Let me know your thoughts….. Here is some info on raw milk http://www.westonaprice.org/health-topics/faq-homemade-baby-formula/#safe. Weston A. Price talks mostly about cow milk, but the same basic principles apply for goat’s milk. I have heard from parents that used pasteurized goat milk and had great results. Hope that helps. Good luck! Hi Jade! Oh your poor baby! Probiotics helped my son with digestion issues. I hope that helps! So you fed it to the babe cold? I’vebeenwarmingmine in the bottle in a warm bowl of water we just swapped from the formula suppliment today at a little over 2 months, and she sucked it down… so we’ll see how it goes! I did not warm it for my son. Simply because he liked it cold. If your baby prefers it warm, you can warm it. Thank you for this article! I have been pumping round the clock for my 8 month old twins and it is just exhausting already. I would like to try goat milk for them instead of using formula. Do you mix or dilute the raw goat milk with anything? Hi Lea! Pumping is exhausting! I just realized the link to the recipe was broken. It’s been fixed. Here you go: https://thecrunchymoose.com/homemade-formula/. I am pregnant with our first child. I desire to breastfeed but had a breast augmentation done 7 years ago and don’t know if that will cause me not to. We have milk goats and I would want to use that in place of formula if I am not able to breastfeed. The Weston A Price recipe seems so complex and I don’t know if I could ever depend on my husband to make it as it is to many steps. How did you balance this and also find all the ingredients? My little one weaned himself from breastfeeding at about 11 months. 🙁 I wanted to give him raw goats milk but none of the farms in my area were selling due to low milk supply and baby season. So I just bought him pasteurized goats milk at the store and we’ve done until now (he is 14 months now). 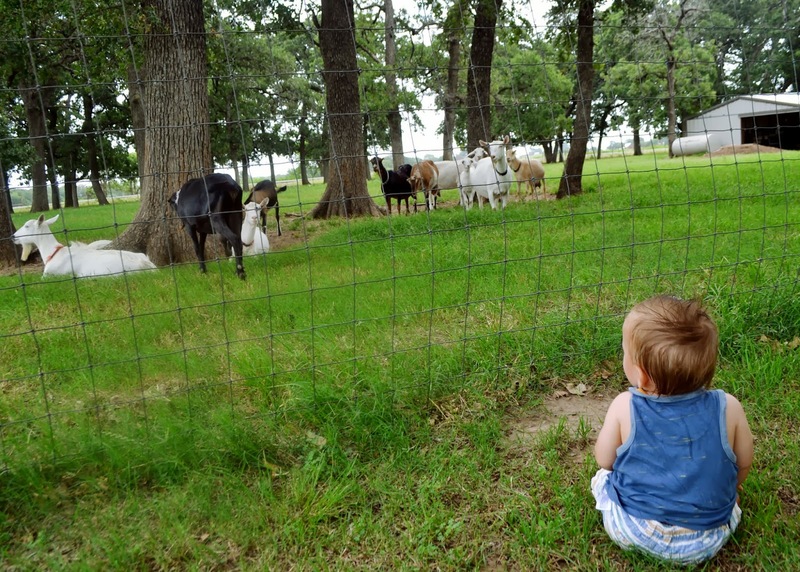 I recently found a farm selling raw goats milk and bought some for my son. He has been drinking it for about 5 days now and I have noticed he is having more poops in the day and they are very soft/runny. They are even starting to cause some diaper rash. Did you ever have this problem with the raw milk or do you know what I could be giving/feeding him to help counteract this? Hi Angie, Here is the formula I used https://thecrunchymoose.com/homemade-formula/. I based it on the WAPF recipe, but simplified it a little. Oh no! No, I haven’t had that problem. I’m not sure what is causing that. It’s great you took such an interest in your baby and did so much research. However, goat’s milk has insufficient folate in it, making it dangerous for newborn babies, and can cause a number of problems. More importantly, RAW milk of any variety has an increased risk of Listeria, which can cause a deadly infection around the brain called meningitis. For other parents out there: Talk to a board certified pediatrician before your homeopathic consultant, please. I’m so glad I just came across your blog! My daughter is 1 month old and I have been trying to exclusively breastfeed her, but we have had so many problems, one after another, and she is still under her birth weight and not gaining any. I’ve tried two different types of commercial formula to supplement with but it constipates her for days and she just screams for hours from the gas. I’ve started researching supplementing with goat milk, but I’ve been told that I need to pasteurize the milk first. I have a gallon of raw goats milk, but I’m debating on pasteurizing it or not. Can I pasteurize it and still use it in your recipe? I breastfed my son for a whole year but not exclusively.. at about 4 months wasn’t making enough milk so we introduced pasteurized goats milk for him to eat WITH breast milk. it worked well, we did not have any issues. I just wanted to add a comment if anyone in the future browsed through this blog and has the same question about raw vs pasteurized.. Yes, I have heard from parents that used pasteurized milk and loved it. Thanks for your input. My board certified pediatrician put my baby on a prescription formula that was 57% corn syrup and 4 medicines he took daily. Since following the WAPF traditional foods diet, my family has been healthier than ever. I personally would choose raw goats milk over corn syrup and medicine all over again. My son is now very healthy with zero allergies. But that’s a choice that every parent gets to make for their baby. http://www.westonaprice.org/childrens-health/formula-homemade-baby-formula/. Im giving my 4month old raw goats milk as well as formula, she has an ng tube due to low weight gain, and when I started with the goats milk, she hasn’t been gaining as much. With the formula she was gaining 15-18g a day and with goats milk and formula only 6. Not sure why because I also added formula to the goats milk to bring up the calories. I guess my question is why is she not gaining as much with goats milk when the calories are the same? I was able to find a place in my state (that ships to other states, too!) that sells raw camel milk. Would you follow the same recipe with camel’s milk, or do you know what else might need to be added? I know camel’s milk is closer to human breast milk, but I can’t seem to find a camel’s milk formula recipe! Camel’s milk hasn’t seemed to widely infiltrate the U.S. yet, but it sounds like it’s really amazing stuff! Thanks in advance! Hi Tanya, You’ll have to consult your doctor on that one. Oh wow! How cool! I don’t know a lot about camel milk so I can’t say for sure what I would do (and as always consult your doctor). It appears that it has more iron, so you may not need to supplement iron. I would follow a similar recipe, just check to see what nutrients are missing (if any). How cool to have camel milk! My daughter is only 8 weeks old and not gaining weight like she should be. She is constantly spitting up/ projectile vomiting. There is no fussing really, and she sleeps okay, pees and poops like she should, she just can’t keep it down and her weight is constantly up and down and just not like it should be. I couldnt produce enough milk for her, she was a big baby 9.9lbs at birth, i just never made enough and then lost my supply with supplementing. Tired similac advanced, similac soy, enfamil nutramigen, and enfamil ar, now back to nutramigen with .9mls of zantac twice a day. Still the same! Researching goats milk as an alternative and came across your post. Do you think she is too young for the raw milk? Will she gets all the nutrition she needs from just the milk? 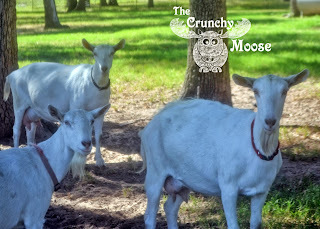 Have you heard of goat milk based formulas? I found one called Sammy’s Milk. Going to consult my Dr. on this too because nothing seems to be working like it should. I always have to start with a disclaimer – consult your doctor. I gave my son goat’s milk at that age. I made a formula. https://thecrunchymoose.com/homemade-formula/. I hope you find a solution for your daughter.